Edward S. Rogers Sr. can be counted as one of the worlds most important radio experimenters. His patented improvement to the McCullough AC tube that eliminated AC hum was the break through that launched the Rogers Batteryless radios. 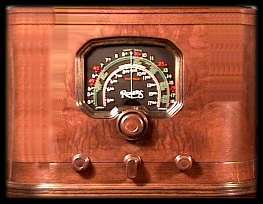 This Rogers Batteryless receiver Model 120 using a 5 tube circuit was introduced at the Canadian National Exhibition in Toronto, Ontario Canada in 1925 and sold for $260 including tubes and power supply but less a loudspeaker. The more expensive Model 100 was a solid walnut floor console model including a loudspeaker selling for $370 while the Model 110 was identical except minus the legs and sold for $335. For the radio listener still not served by electric power, the Model 100 was made available less power supply as a Model 105. 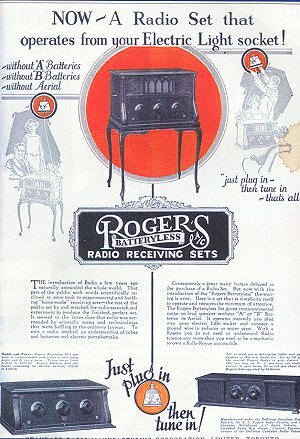 With the introduction of the AC-30 triode in 1928, Rogers Radio Ltd. became the Rogers Tube. 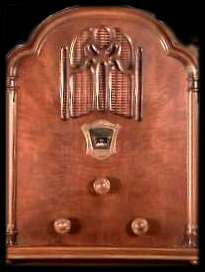 Co. Ltd. Further change occurred in November of 1928 when a large American radio manufacturer, Grigsby-Grunow, consolidated its Majestic line with the new company becoming Rogers Majestic. This merger gave both companies the skills and patents necessary to compete with other major companies who were beginning to utilize the new Westinghouse UY-227 tube in their receiver designs. Ted Rogers Sr. died in 1939 at the young age of 38 from a haemorrhaging ulcer which his son, Ted Rogers Jr. attributed to his fathers non-stop work. In recognition of his tremendous contribution to Broadcasting, Edward Samuel Rogers, Sr. was inducted into the Canadian Association of Broadcasters (CAB) Broadcast Hall of Fame in 1982. Ted Jr. was only 5 at the time of his fathers death and remembers seeing his fathers name on radios being sold at the CNE. Ted's academic experiences were somewhat like his fathers as his entrepreneurial drive causing him to fail one year of law school at the University of Toronto. By the time he was called to the Bar, Ted had purchased Canada's first FM station as well as an AM station. Today Rogers Communication Inc. (RCI) <http://www.rogers.com> is one of the largest telecommunications companies in the country, with holding including Cable TV, Cellular Phone, as well as Local and Long Distance under Rogers Telecom (formerly Sprint Canada), multi-media, publishing, and 20 radio stations and a television station, CFMT, devoted entirely to multi-cultural programming. - Rogers Batteryless History - A paper presented October 1st, 1983 to the Historical Radio Conference in Canandaigua N.Y.
You can view the complete Rogers Collection at the Hammond Museum of Radio..